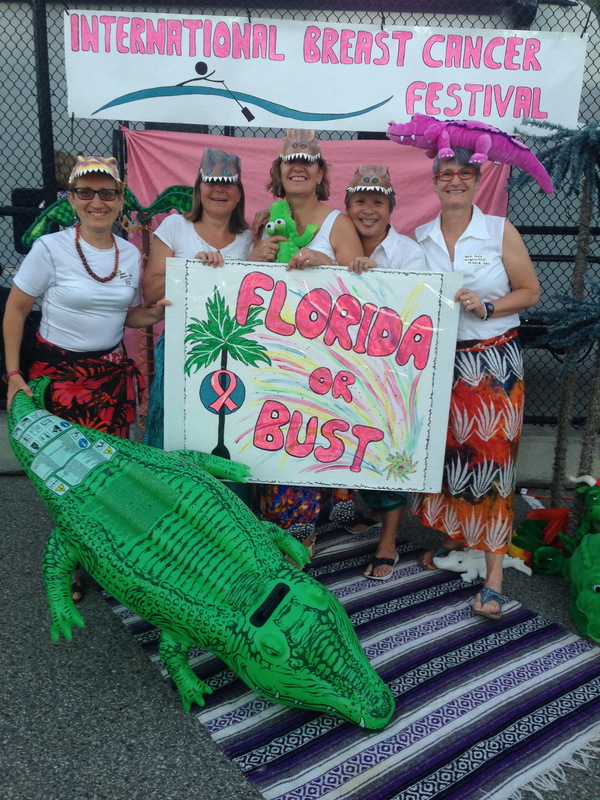 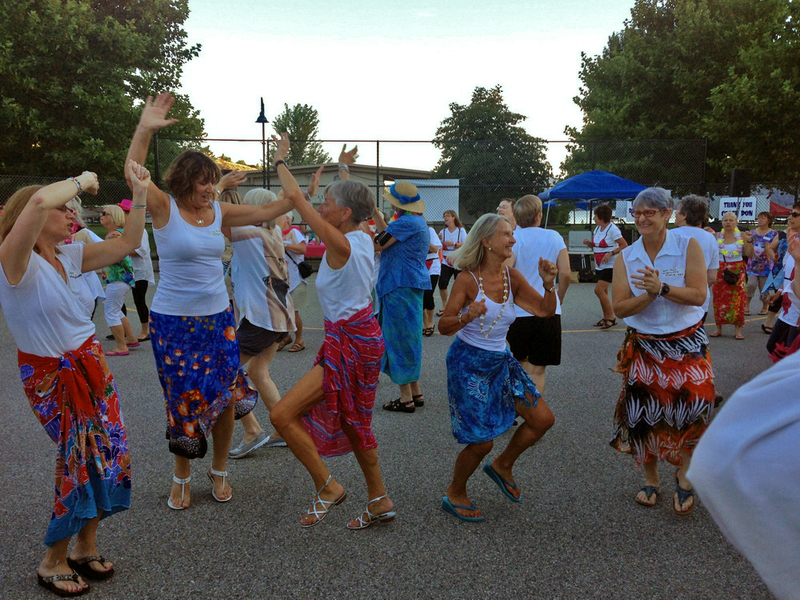 The weekend kicked off with a fantastic party on Friday night — the theme was “Florida – Here we come! 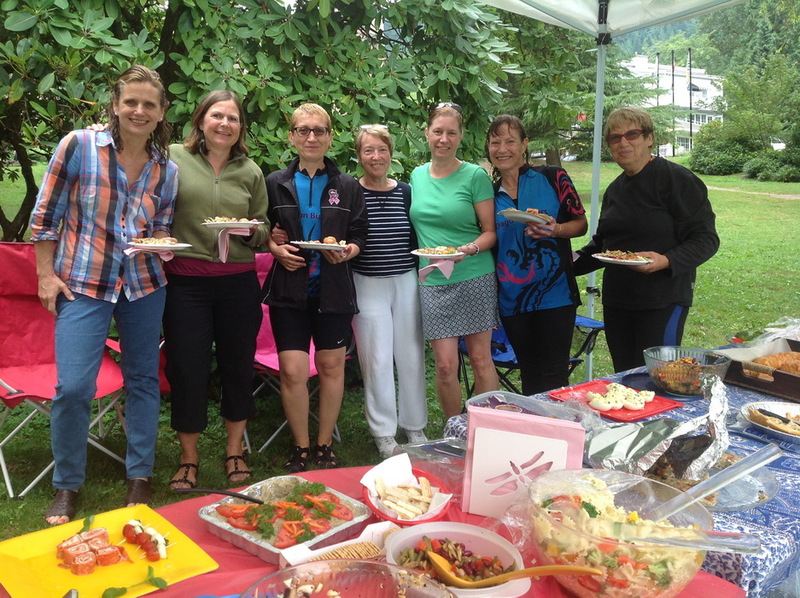 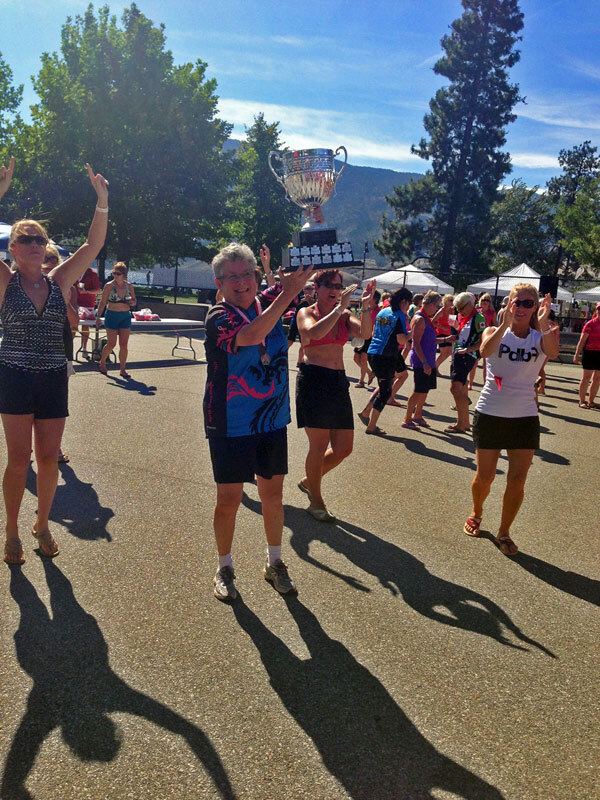 !” and the teams celebrated with food, drink, great music and dancing. 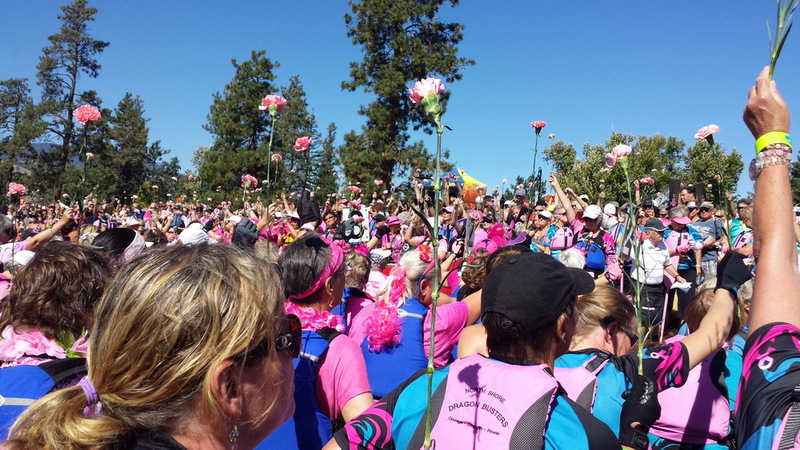 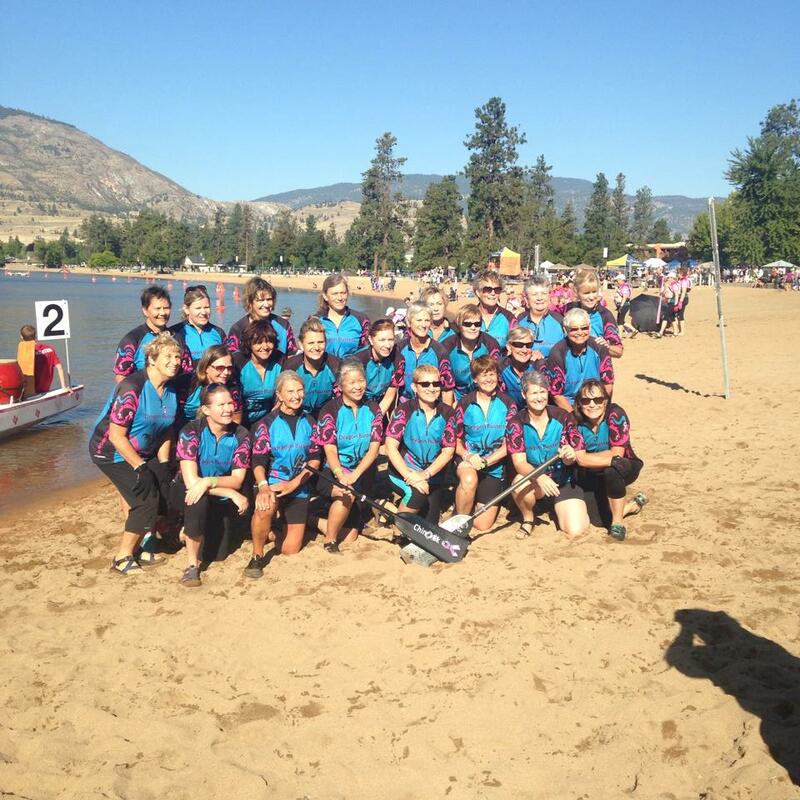 Saturday was all about 40 strong and competitive women’s teams racing and hoping to take home medals. 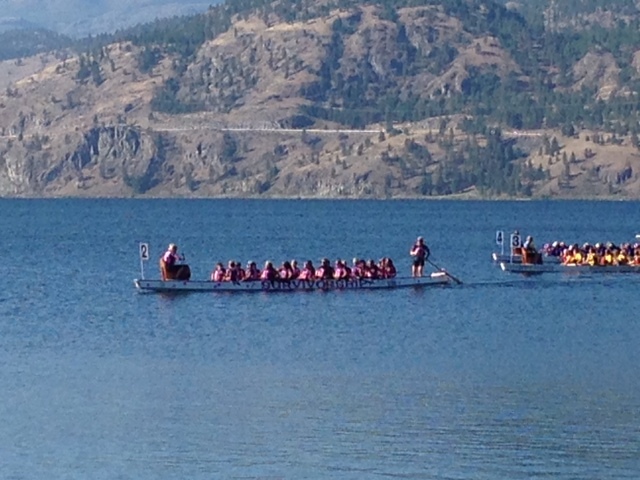 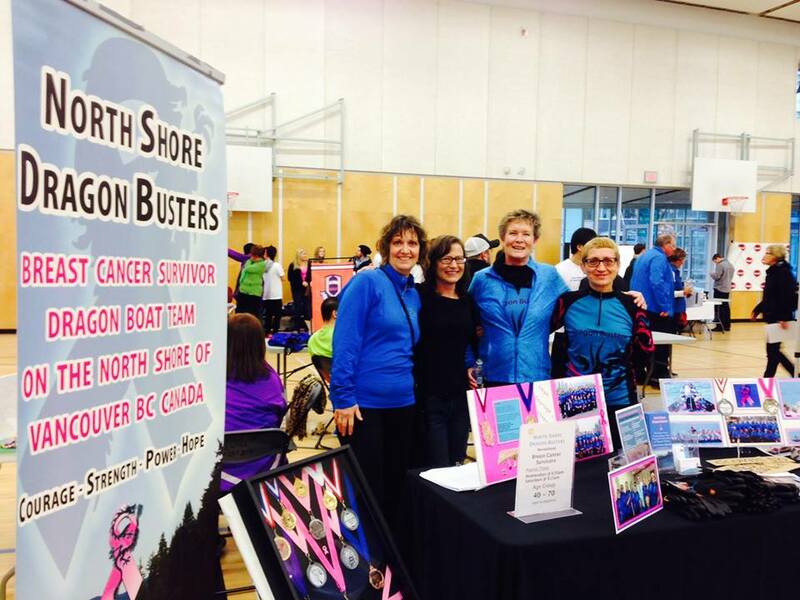 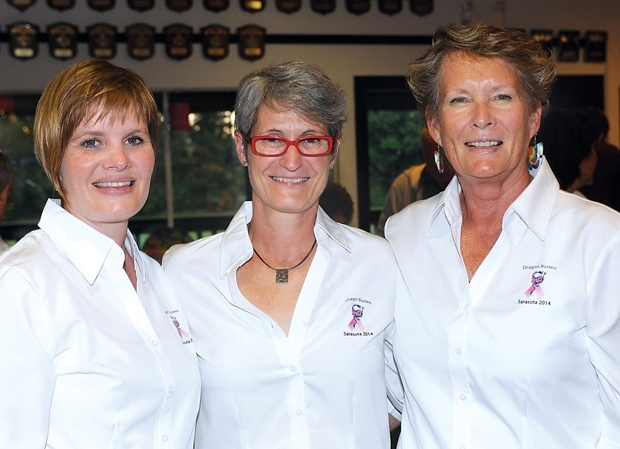 On Sunday, NSDB raced in the Breast Cancer Survivor Cup Challenge and finished in 1st place as the ‘Top Breast Cancer Survivor Team’ at this regatta. 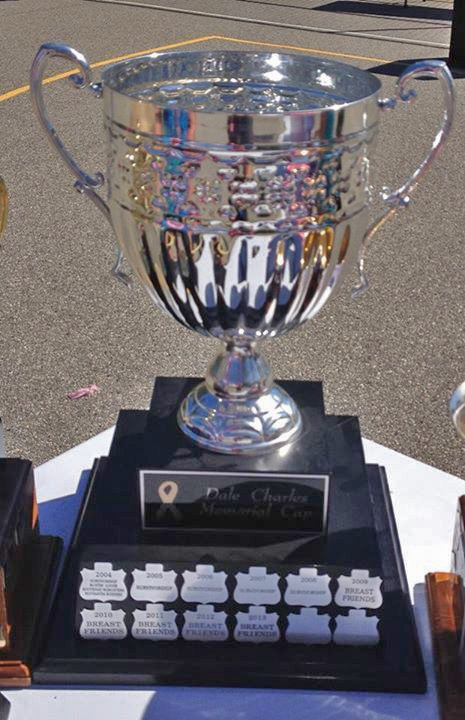 We took home a GOLD medal and the Dale Charles Memorial Cup. 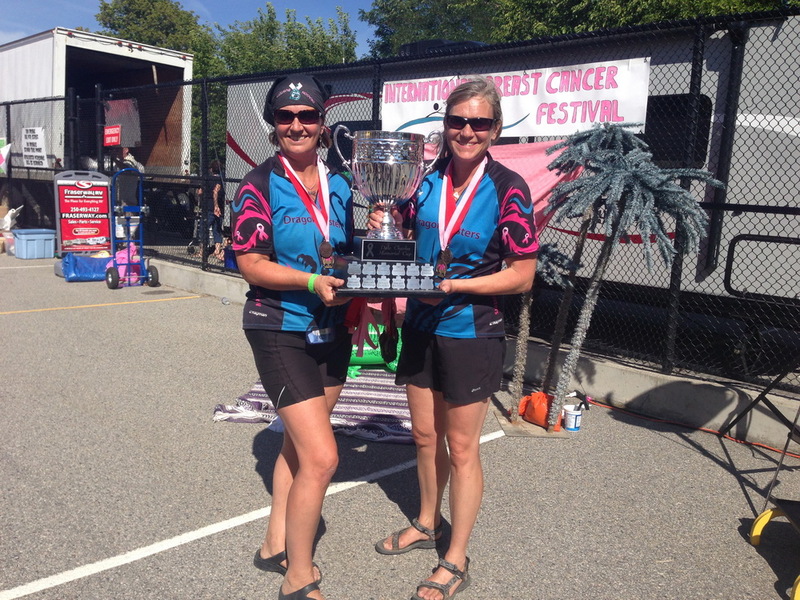 We had our best time ever (2:25.56). 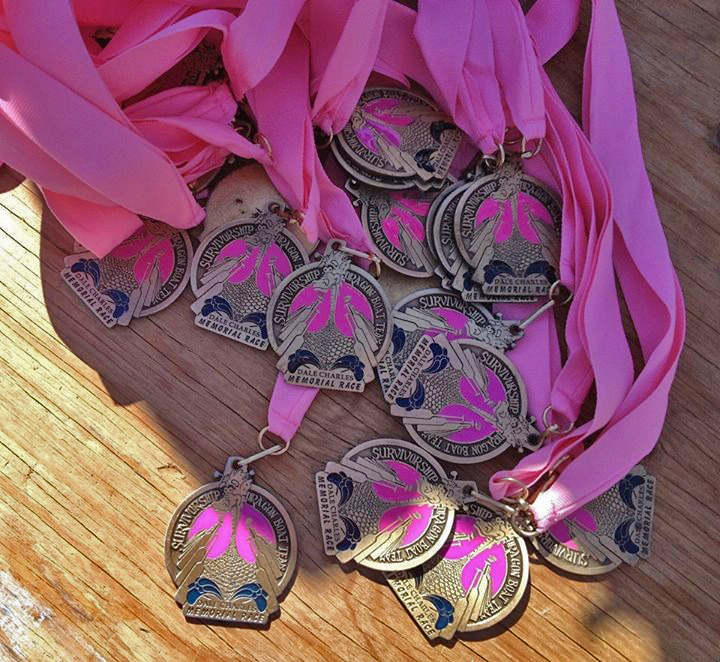 The later races on Sunday were cancelled due to high winds, and medals were awarded based on the semi-final results. 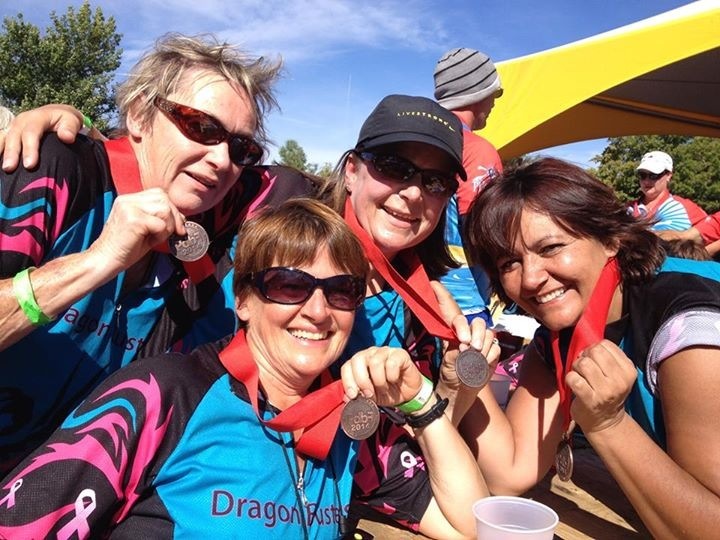 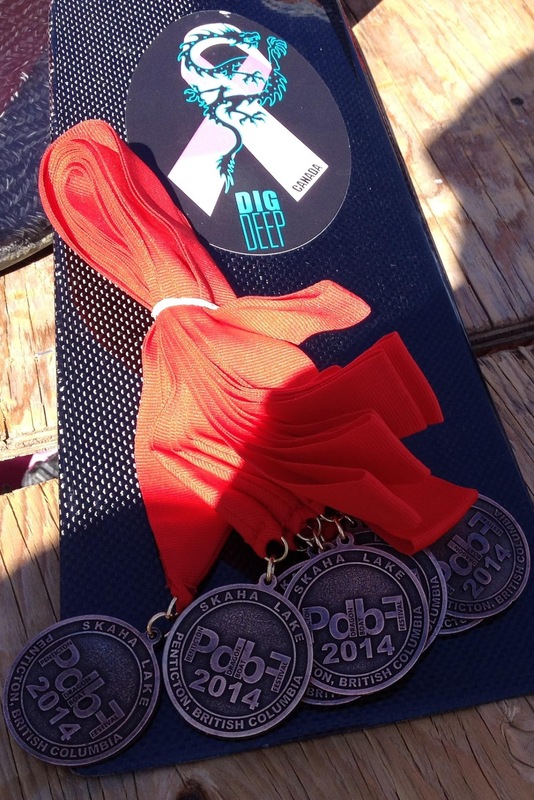 NSDB placed 3rd in Women’s Diamond Final A and were awarded the bronze medal. 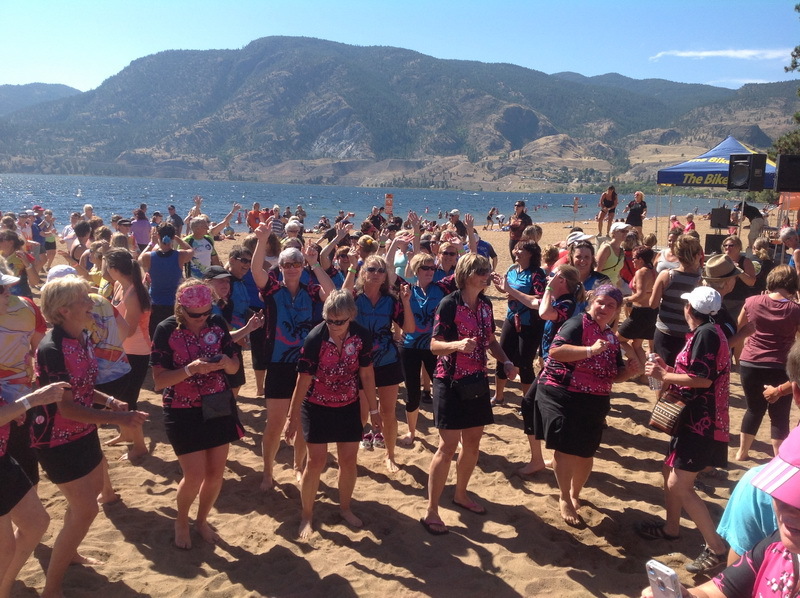 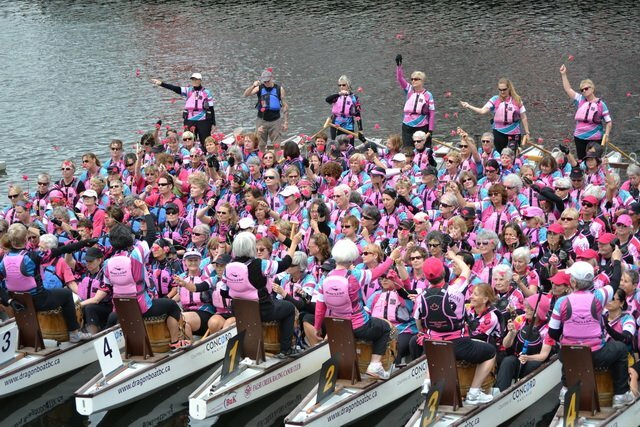 Although it was disappointing to have the final races cancelled, the paddlers ‘Kept Strong and Carried On’ and proved they were true Dragon Boaters — a spontaneous beach party erupted, with hundreds of people dancing and having a great time. 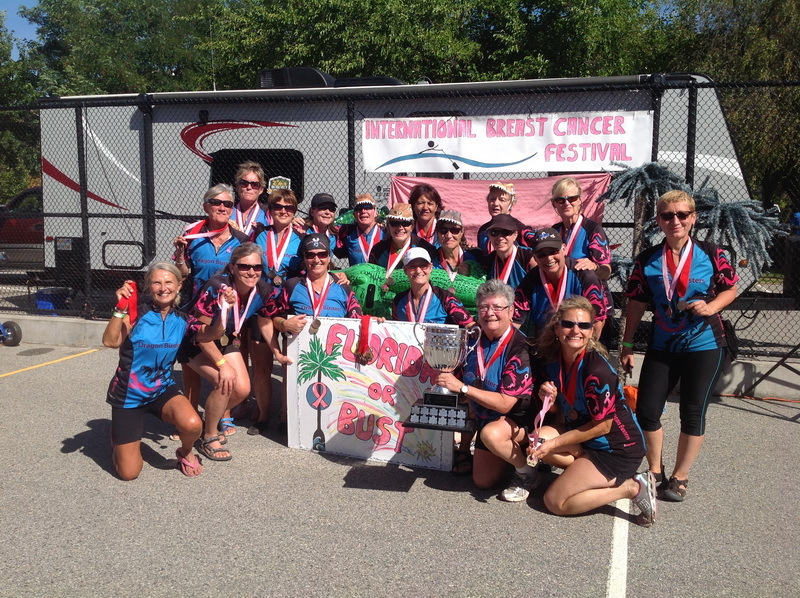 What a wonderful finish to the festival!